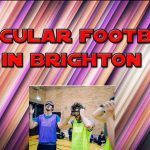 On the second day of our stag weekend, we headed on to try bubble football, about a 10 minute drive from Brighton. This is one of those bizarre experiences I hadn’t even heard of two years ago, yet I’ve now managed to try twice within the last 6 months! 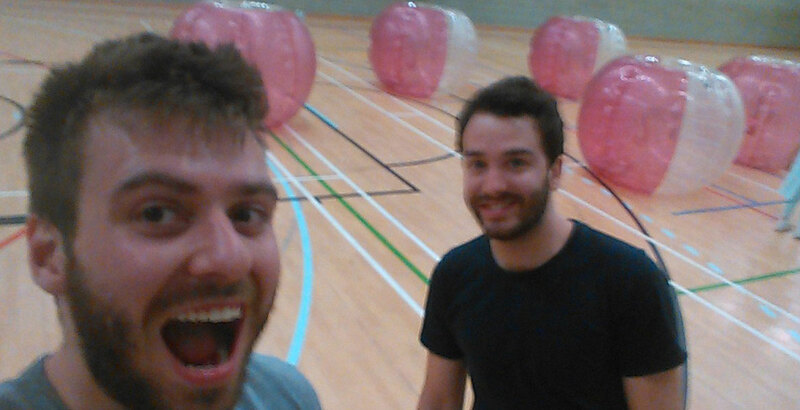 What exactly is bubble football? In case you couldn’t guess, I’m the guy in the grey and black striped t-shirt (if you can see through the zorb). 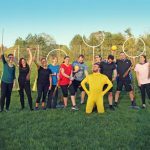 So, basically, bubble football is a zorb you stick over your upper body, while you play sports and games (orchestrated by a coach), where you basically aim to knock each other over and get as dizzy as possible. 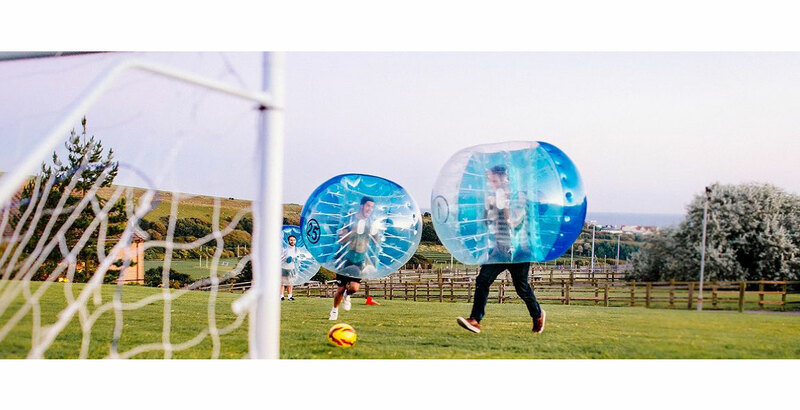 It also has the name goggle football and zorb football. Yep, it was amazing fun. One issue is we did it on a hangover, therefore the rare warmth of a British summer left us feeling a little worse for wear. Based on this, I recommend bringing some water with you, as they didn’t seem to have many facilities for drinks. I’d 100% recommend considering this, but as your first activity of your stag weekend, rather than on the hangover day. I didn’t feel any pain at all, however my mate went last year and really hurt his leg, as did his other mate. So, here is my tip based on what they said to me. When ever you’re jumping around or flipping, make sure to bend and tuck your legs. You don’t want to land flat on your legs when they’re straight, that is what caused pain for others. Other than that, you generally are meant to avoid full on head on collisions with each other, however they were trying to get us to run full-pelt towards each other, so who knows! Either way, I came out unscathed and thoroughly happy. It went on for a couple of hours, however it depends how big your group is. For us, it lasted about 1.5 hours, however our group was 6 big, whereas most groups are around 12, meaning it takes a wee bit longer. Either way, as fun as it is, you probably wouldn’t want it to last too much longer, as its sweaty work and definitely builds a hunger. How do you get in/out? With the ball on its side, you pull yourself in and strap the belts over each shoulder, then stand back up. It’s not too hard to get in, but the first time you give it a try it can be a bit confusing. I personally find getting out a bit more tricky, as I just wiggle myself out. 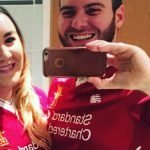 Can you play an actual game of football? We went inside to the football area, which resembled a PE room at school. We played a game of football, which was great fun, but don’t expect people to take it serious, I spent my time tackling everyone, regardless of where the ball was.